(It’s a modification of what Confucius said once: “Seek a job you love and you will never work a day in your life”). It took me a bit to understand how I could survive by simply doing what I love. Soon realizing that there will always be people who like what I do when I do it with all the passion I have. So I only have to look for them. With that you actually cannot fail. It’s what I told new team members joining any of my companies. 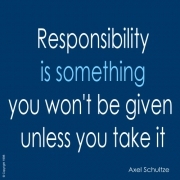 I never liked people asking for more responsibility. They were simply asking for more authority that they apparently did not have on their own due to lack of other skills. The times are long gone when we where competing on product or service quality only. Today, those qualities are a given. Speed in responses, delivery, action and reaction is where we can truly differentiate our businesses. 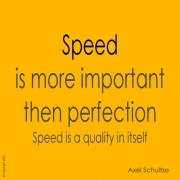 Speed became the most relevant quality to most of our customers. Perfection is the biggest enemy to speed. It sounds like a philanthropic aspect. 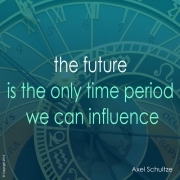 Not really – once we understand to implement that thinking in our businesses, we experience outstanding successes. And on top of all, we can experience a sense of fulfillment. The little free things here and there, free to try, free t use, an extra here and there, a personal note, a helping hand… are the things any business can ‘give’. 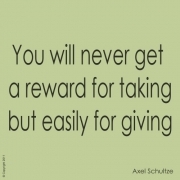 It still sounds giving with an expectation to get – but if you do it for years it actually changes. When I saw countries like the USA struggling and on its verge to collapse, I realized that nobody made a substantial mistake. But the system that was created alienated risk taking and favored protection, alienated open minds and favored conformism, alienated experimentation and favored strict rules. All set to protect what was achieved. That mantra / rule, equally applies to any organization may is be a country, a company, an association, a family or an individual. 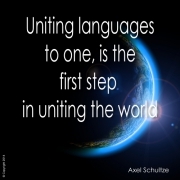 “Uniting language to one, is the first step in uniting the world“. My entire life would be radically different if I didn’t have learned English. Without language we can only learn by observation or doing, we cannot learn from the past and we cannot share how we predict the future. With the English language we can reach 1.2 Billion business people in roughly 150 countries, with Spanish less than half in about 10 countries, with French, Russian or Portuguese roughly half of Spanish and German, Japanese, Korean… can be considered local languages. All of my mantras have been documented after I applied the behavior over and over again. It helped my reduce the thinking to a one or two sentences and made the communication much easier. Once I felt I won’t change them, I simply put them up on my website and/or shared them with my team. 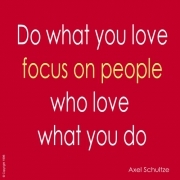 Success, Leadership and Competition are dedicated to my business live and pretty much all my employees knew them. 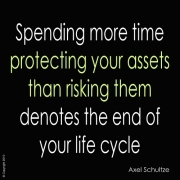 Fulfillment and Staying on top have been created in the 2008 2010 time frame, after I retired and helped others think about their future. Language is more a statement of understanding, helping my startups from all corners of the earth that language, especially speaking English is the key to any success.